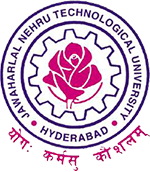 JNTUH B.Tech/B.Pharmacy 4-2 Sem (R13) CBT Time Tables May 2018, jntuh b.tech and b.pharmacy 4-2 sem r13 computer based test time tables 2018 are released. JNTU Hyderabad has announced B.Tech and B.Pharmacy 4-2 Semester CBT Time Tables May 2018. JNTUH was going to conduct 4-2 sem computer based test examination for R13 Regulation in the month of May.